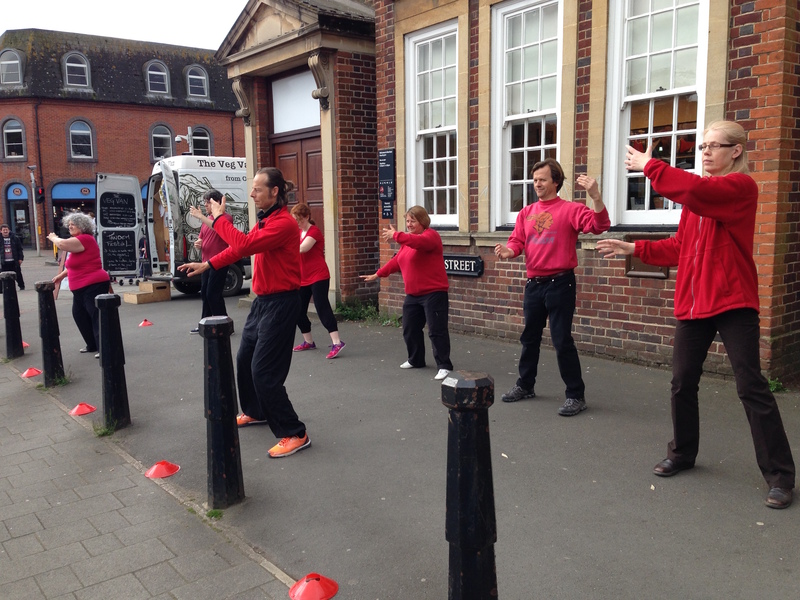 This year for World Tai Chi Day we met outside Barclays Bank in Headington to bring some happy chi to the Saturday bustle. It was clear that we made an impact as we quietly practiced our form and let our energy ripple out into the local environment. Public displays of Tai Chi are a great way to raise awareness and to expand ones focussing power !